What a week! 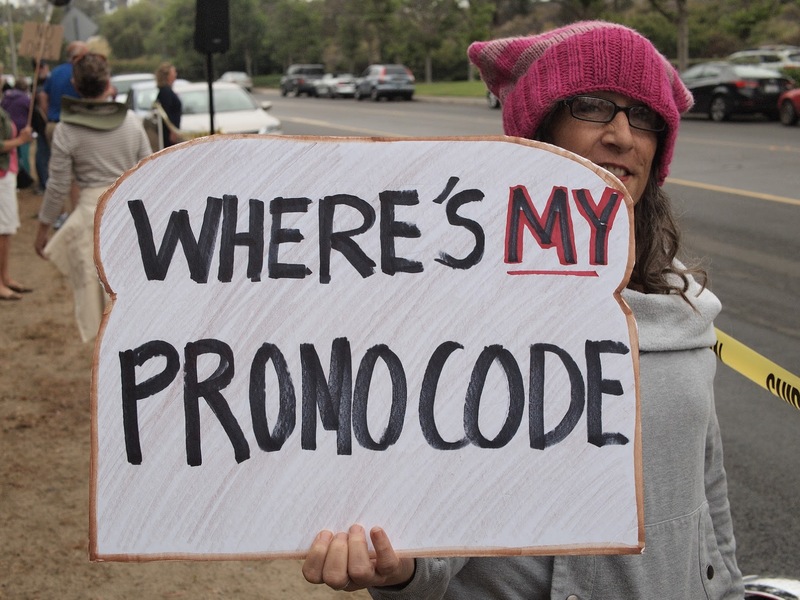 Get the scoop on Issa's raucous Town Hall and other events. Come to our Member Meeting on Sunday, June 11! Between Issa's Town Hall on Saturday, his so-called "pop up" town hall in Vista on Friday, and our rally last Tuesday, Issa had a rough week. He didn't fare well in the almost daily news coverage (but we did!). With only a couple hours notice, Issa held an impromptu Q&A session outside his Vista office on Friday. Despite the short notice, hundreds showed up, along with the media (see Fox 5). 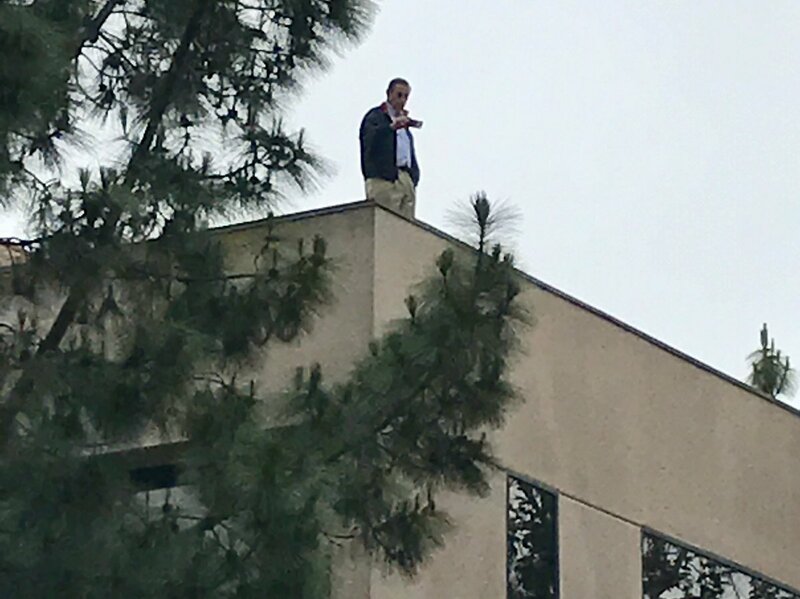 Our Tuesday rally made the news as well, with some unexpected hubbub when Issa went up to the roof to look down on the protesters. Issa's roof foray went viral as an Internet meme, and the media jumped in (more below). On the permit front, the ACLU is fighting for our right to protest peacefully outside Issa's office - see article here and stay tuned for more. 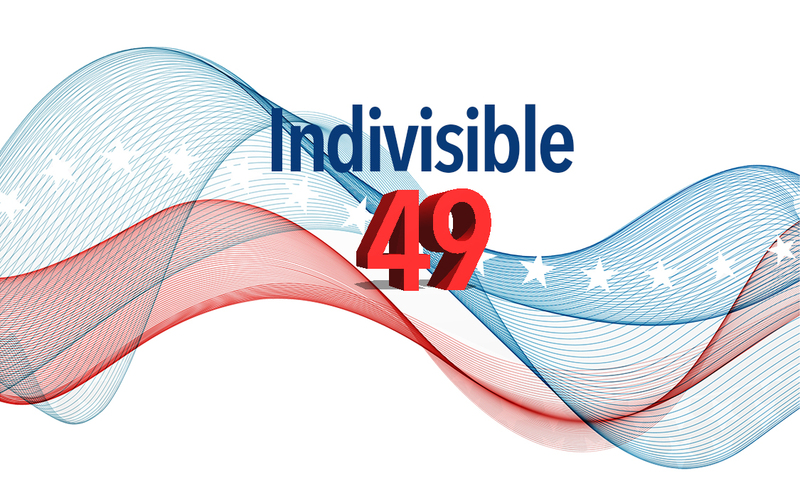 Best of all, we get to celebrate our success and prepare for future actions at our Indivisible 49 member meeting next Sunday, June 11 at 6:00 p.m. at the Carlsbad Senior Center. Please join us for socializing and breakouts to improve our skills going forward. And of course, food. Details below. Photos of Issa on the roof went viral as we protested across the street. 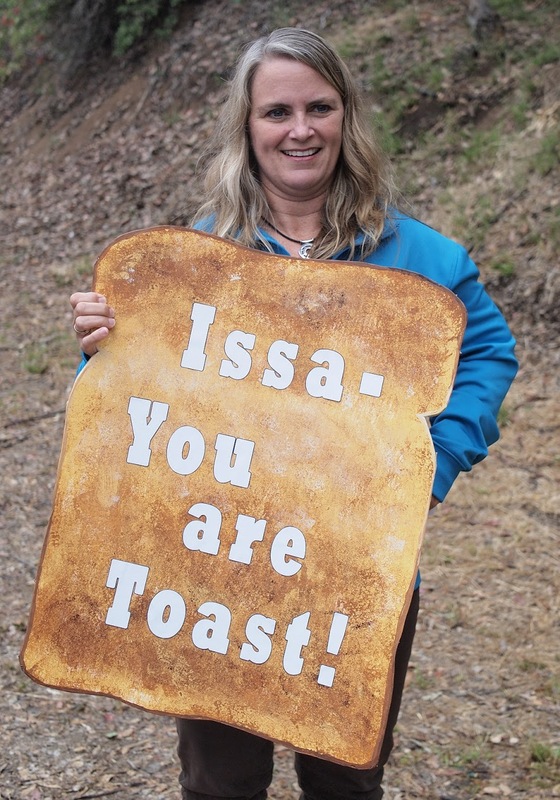 Issa tried to defend his actions, which included being rude to our rally folks. He came out later and brought a piece of cake to his lone supporter (as Ellen pointed out, the historical irony was thick - "Let them eat cake"). The press widely covered the back and forth. More photos of the rally here. Also, some folks went to the Wildcat overpass afterwards with signs. Town Hall on June 3 in O.C. 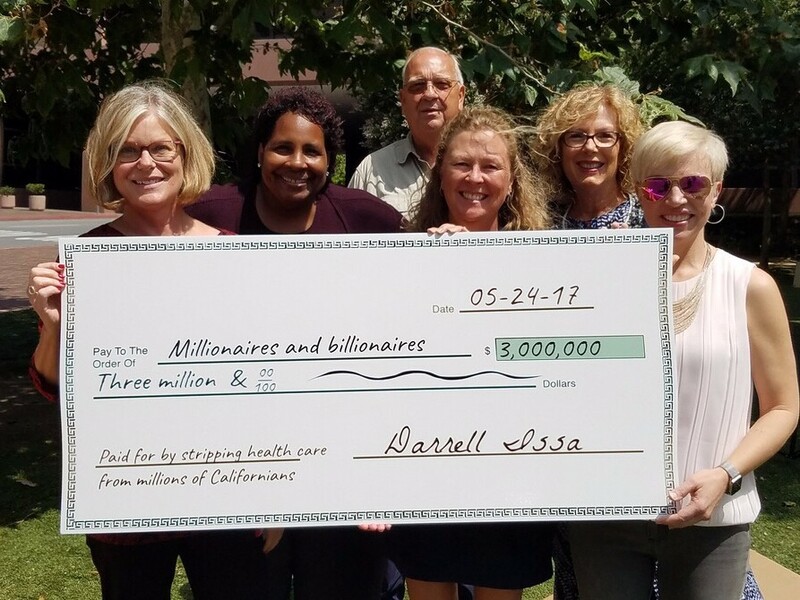 The biggest event of the week was Issa's Town Hall on Saturday in San Juan Capistrano. We made a strong showing despite a larger than usual contingent of Issa supporters (see ticket controversy below). Issa held the floor for almost two hours, although he answered very few questions directly. Here's the full town hall recording. 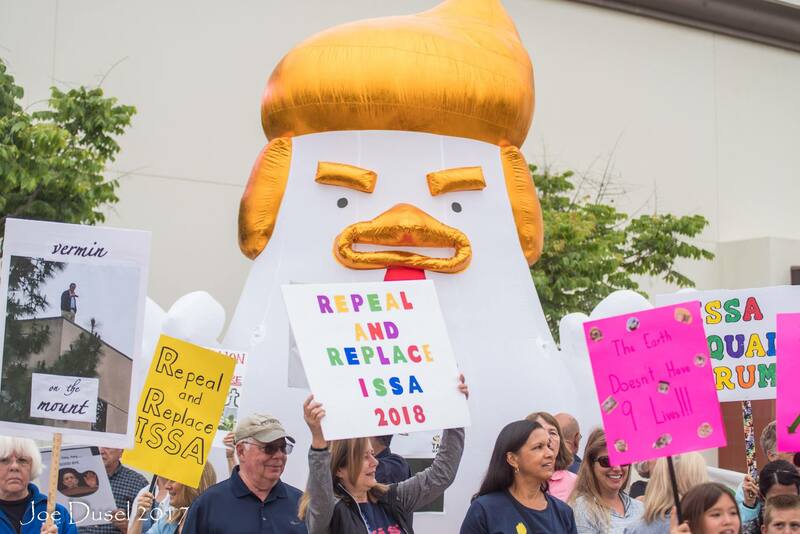 And at the same time as Issa's town hall, resisters were marching in San Diego. 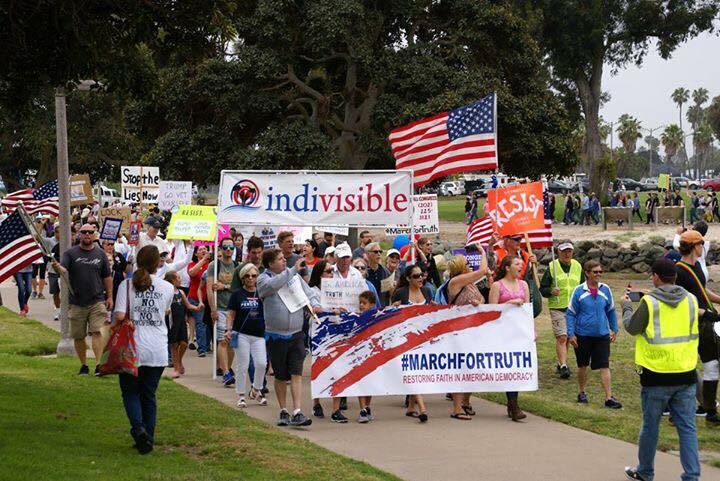 Rally at Issa's office again this Tuesday at 10 a.m. We're gathering across the street, so please be careful crossing over. Look for Ellen's email to RSVP. Our Tuesday rallies will continue through summer, even as we try to secure permits and battle with the city of Vista. See the ACLU letter to the city of Vista asserting our first amendment rights. We're looking forward to getting everyone together at our first full membership meeting. With a theme of "Finding your Activism," you are invited to join various breakout sessions including Voter Engagement, Write Back @ You, Who's Your Buddy, and Social Media Engagement Beyond Facebook. RSVP here. We could use your help - please check this list and let us know how you can help. Someone will contact you with more details, and if you have questions, please text Ellen Montanari at 858-775-0031. Thanks! Congress is back in session. The House is voting on bill (HR 10) to rewrite Dodd-Frank and take away post-2008 financial protections for consumers and small businesses. With Trump pulling out of the Paris Climate Accord, we need to let Issa know that his lack of leadership and hypocrisy around climate change are not acceptable. We expect him to stand up to Trump and the climate change deniers in the White House, and push for reductions in green house gas emissions. Click here for the full briefing! Loudly disavow Trump's decision to withdraw from the Paris Climate Change Accord. Demand that Issa stand up to 45's ignorance on climate change and pledge commitment to safely reducing carbon emissions in our district. Let Issa know that you oppose bill HR 10 (rewrite of Dodd-Frank), and expect him to ensure consumer financial protections.